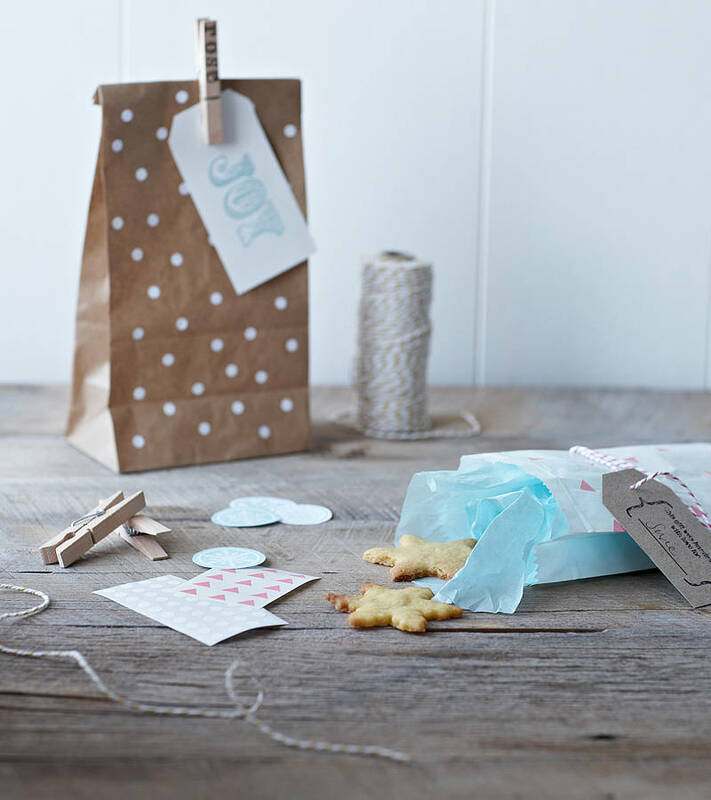 We love getting creative with our wrapping, so we decided to put together a little pack of everything you might need to do the same! We've also added some sweet stickers so you can do some creative customising. 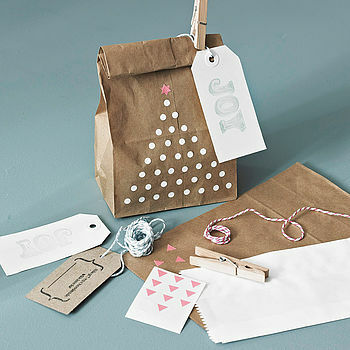 You'll also find a selection of hand stamped gift tags and wooden pegs. 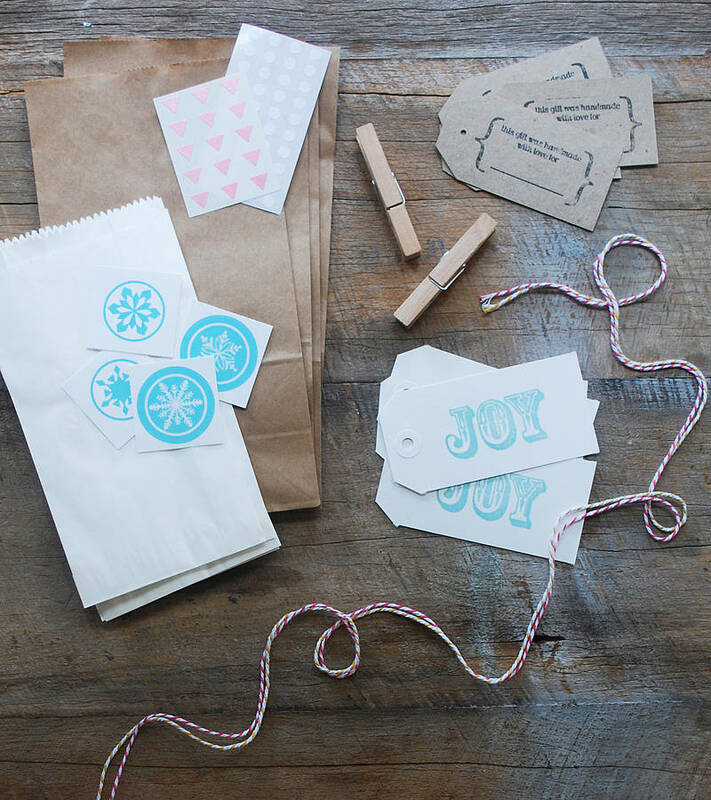 Try stamping with your recipient's name, and of course bakers twine! Exclusive to The Original Pop Up Shop.